Wera 889/4 R Standard Rapidaptor, Universal Bit Holder 1/4"
Wera's Rapidaptor Universal Bit Holder is designed for rapid bit changes. Rapidaptor allows for quick one-handed bit change for both insert and power bits. Bits are easily inserted with press-in and self locking mechanism that holds bit securely and wobble free. Free-spinning outer sleeve stabilizes tool during screwdriving process, easily applying tool to screw to prevent slipping. Fits all 1/4" DIN 3126-C 6.3 and E 6.3 bits and Wera Series 1 and 4. Smart design, outstanding quality, practical application. 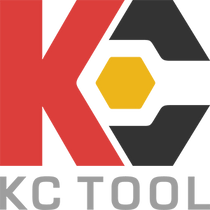 KC Tools comes through again with a great tool. Thank you! Bought this as an addition to my Wera Tool Check Plus. Has the same mechanism and fits perfectly as expected. The first time I saw this system was on a Wera screwdriver I got as gift. So glad I picked up one for use in my cordless tools. I purchased this over a year ago and have no regrets. I've worked in apartment maintenance, residential remodeling,furniture making and have run all kinds of bits in this thing. The holding mechanism on the Rapidaptors has to be the best I've come across. It seems to hold any 1/4 in bit with virtually no play regardless of the bit quality or manufacturer. One handed bit changes are easy with two position on/of locking collar. After a year plus of use everything still works perfectly. Its pricey but easily the best bit holder you can get. Great tool. Locking mechanism put all other bit holders to shame. Easy release makes it quick.